A judge has ordered a construction company to pay a total of $250,000 in penalties in connection with an employee’s fatal fall. Design Plastering West LLC must pay a $150,000 criminal fine, a $100,000 civil penalty, admit to eight willful safety violations and submit to OSHA monitoring for four years under the judge’s order for criminal violations of occupational safety and health standards that resulted in an employee’s death. In May 2015, Jorge Carrion Torres, 44, fell 23 feet from the unprotected edge of a third-floor balcony to the lower level of the building while completing stucco work, according to dallasnews.com. He suffered a fractured skull with frontal lobe laceration. The company admitted it didn’t have fall protection as required by OSHA, such as guardrails, safety nets or personal fall arrest systems. OSHA had cited the company for willfully failing to install scaffolding and provide workers with personal fall protection. 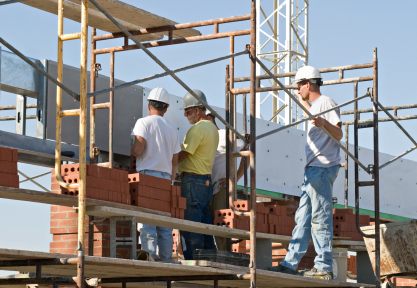 OSHA issued eight willful and four serious citations for a total of $407,400 in fines. The company contested the OSHA fines. Design Plastering West pleaded guilty to the criminal charge of willfully violating the OSHA regulation on fall protection. “This sentence should serve as a reminder that employers can be held criminally responsible for failing to protect their workers’ safety,” said OSHA’s Dallas Region Acting Administrator Eric Harbin. The U.S. Attorney’s Office for the Northern District of Texas, the U.S. Department of Labor’s Office of the Solicitor and OSHA collaborated to bring the charges against the company. Design Plastering had seven previous citations from OSHA in Arizona.